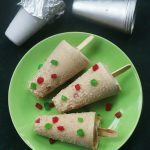 Dry fruits kulfi recipe a rich creamy dessert with the addition of dry fruits and nuts.I love trying different varieties of kulfi recipes and this is my recent try. I was a bit busy with the kids as school is about to reopen and shopping for mittus birthday dress and all so couldn’t post this earlier. 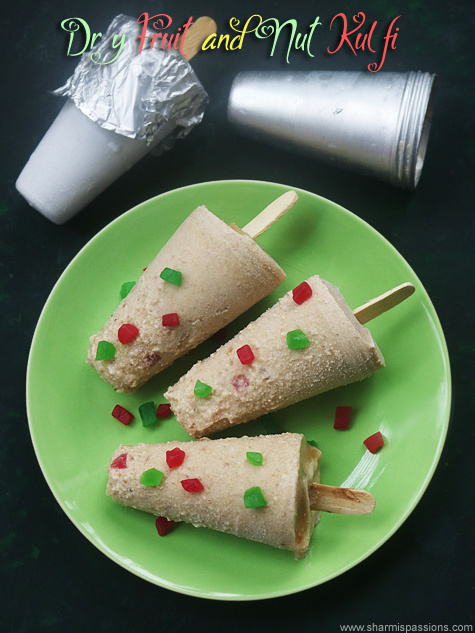 Usually nuts are added to basic kulfi but the addition of dry fruits makes this kulfi variety more rich and sugar free too.Do try this and let me know. 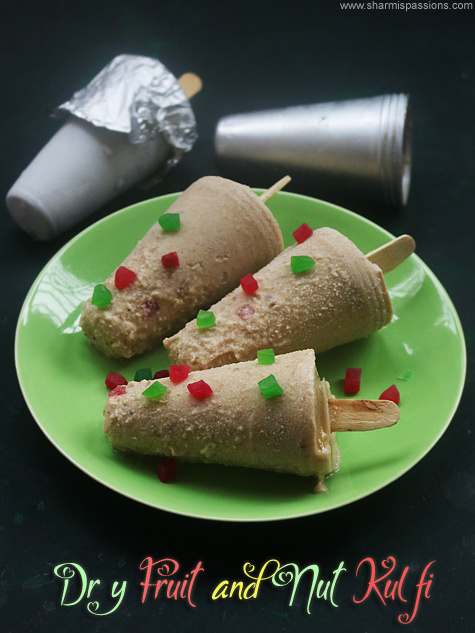 Dry fruits kulfi recipe with dry fruits and nuts. Soak dry fruits and nuts in milk for 15 mins.Make sure the seeds are removed from dates.Now transfer the mixture to a mixer jar. Grind it to a fine paste.Add it to milk and mix well. 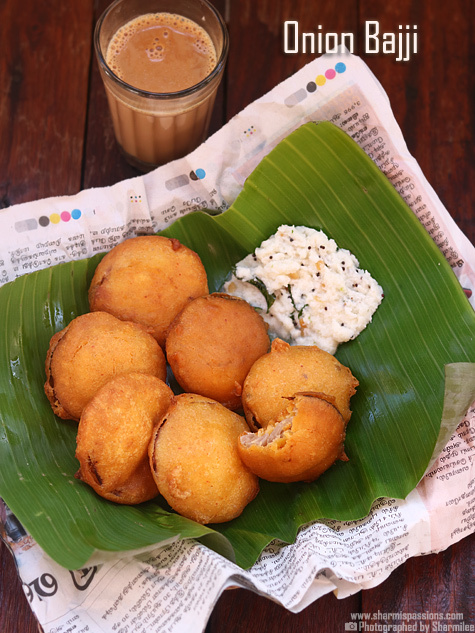 Cook for 2 mins.Add 2 tbsp milk to cornflour and make it to a runny paste.Add it to milk and cook in low flame. 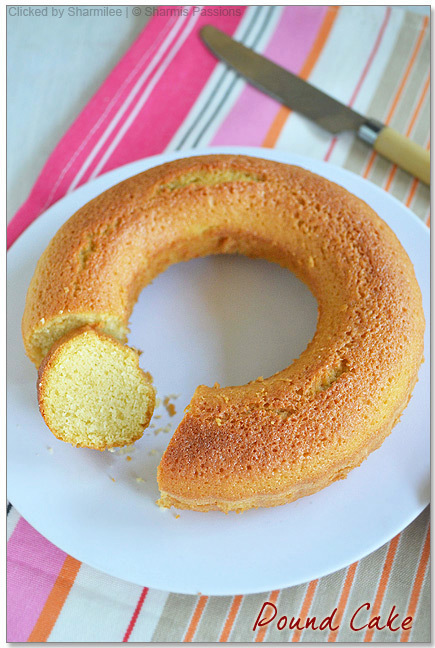 Cook until its thick and coats the laddle.Finally add cardamom powder,tutti frutti and switch off. 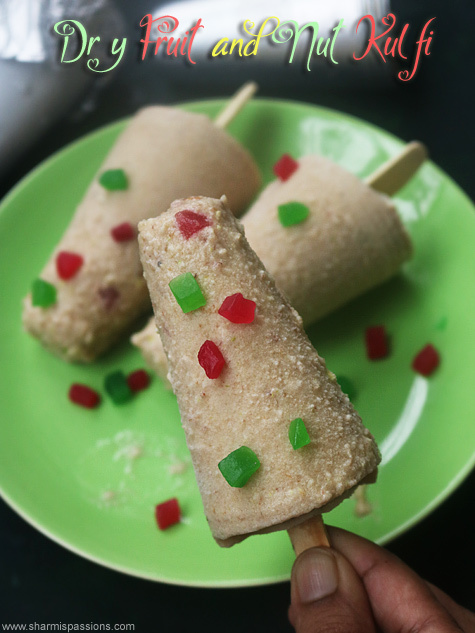 Mix well and cool down completely.Pour into kulfi moulds. 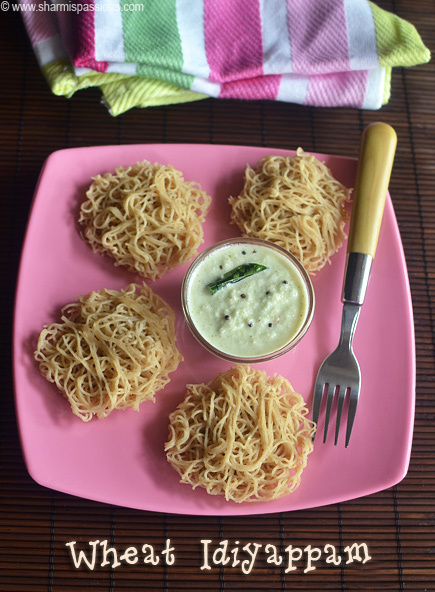 Cover with aluminium foil, insert icecream sticks and freeze for 8 hours.while serving time, show the mould under running tap water or dip it in a bowl containing water.Carefully pull out the kulfis. 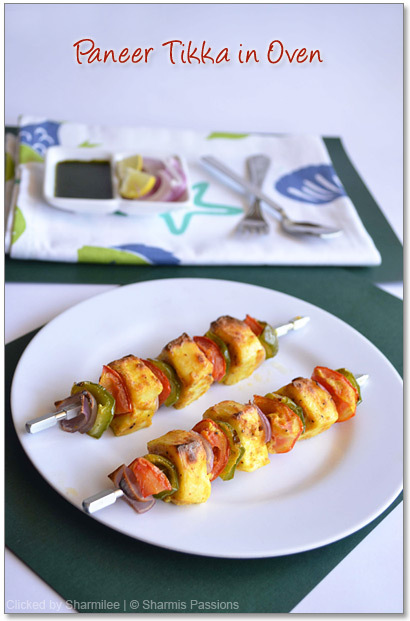 I wanted to serve with stick so inserted stick if you want you close with lid, slice and serve the kulfis too. 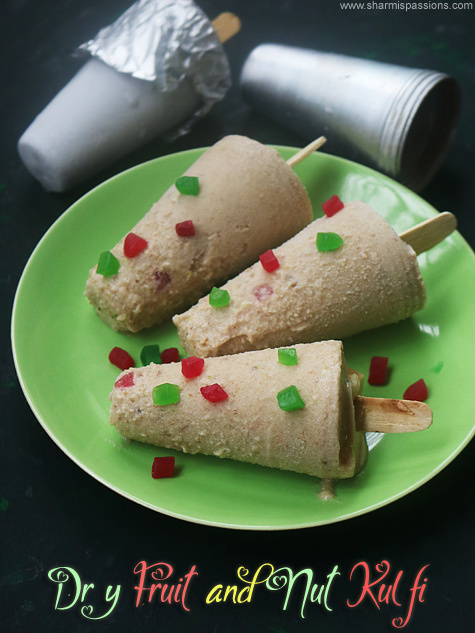 If you want you can add sugar but it is not needed.This kulfi is mildy sweet but the tutti frutti and dates added compensates for it. 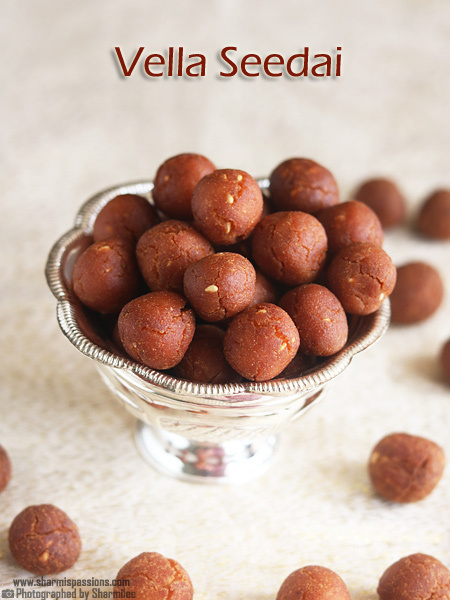 Soak dry fruits and nuts in 1/2 cup milk for 15 mins.Make sure the seeds are removed from dates.Now transfer the mixture to a mixer jar. 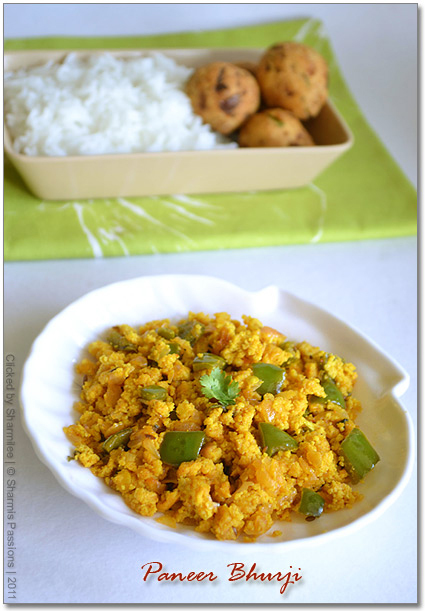 Grind it to a fine paste.If its too thick add 1/4 cup water.Add it to milk and mix well. Serve immediately with a garnish of tutti frutti. 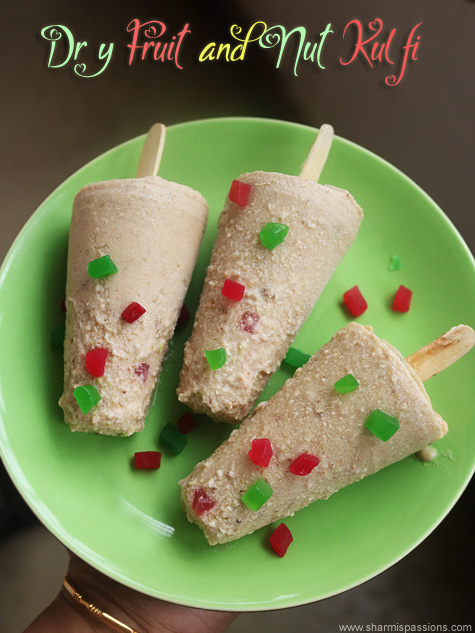 Yummy dry fruits kulfi ready!